Henry Alonzo House was a prolific American inventor and businessman who developed machinery and processes that have had a lasting impact on several industries. It was with great pleasure that we examined his calculating device from 1870 (see calculator of Henry Alonzo House), but this restless and fertile American genius, inventor and entrepreneur had over 300 United States and foreign patents (thirteen basic patents and many minor improvements). Henry Alonzo House was born on 23 April, 1840, in Brooklyn, New York, the youngest son of Ezekiel Newton House (16 Nov 1806–1 June 1863) from Vermont, and Susannah House, nee King (22 Sep 1803–28 Nov 1862), from New York. Henry had an older sister, Hephzibah (b. 1836) and a brother, James Alvord (b. 1838). At that time (early 1840s) Ezekiel House, an architect, builder and painter from Rockingham, Vermont, was assisting his brother—Royal Earl House (1814–1895), the inventor of the first printing telegraph, to develop his remarkable machine. In 1846 the family moved to Little Meadows, Pennsylvania, where Ezekiel built a home on the side of a hill, known as the Castle. In 1852 the House family moved to the nearby Owego, New York, where there were better educational facilities. Here they lived in a house by the Susquehanna River, and Henry show his flair for inventing at an early age. He and his brother James (James will continue to assist Henry in his later inventions) built a boat, which they used to carry people up the river on excursions and also to transport goods down the river, thus earning money with which to pay their father for the material used to build the boat. In early 1854 Ezekiel House had taken a contract to build a county court house in Rockford, IL, and left Owego. Henry and James soon followed him and started in business with their father. In 1857 Henry took a position with his father who was superintending the raising and reconstructing of the old city hall in Chicago, IL. In 1859, while working on a building in New York, Henry injured a muscle of his right hand severed by a chisel which dropped from a scaffold. During this enforced idleness of several months, he started his career as inventor, designing and patenting an automatic gate (US patent 29696 from 1860). When the Civil War broke out in 1861, Henry was rejected as a volunteer because of his earlier injury, which had crippled his right hand, and he turned his attention to making another invention—a button hole sewing machine. In 1862 Henry and his brother James Alvord designed an automatic button hole machine. In November 1862, Henry returned to Little Meadows to marry his cousin Mary Elizabeth House (26 Mar 1842-19 Sep 1917), daughter of William House, a miller, and Eliza Maria Turner. As his mother was very ill they hurried to Brooklyn where his mother Susan died on November 28, 1862, and his father Ezekiel followed her next spring. Then Henry House move to Bridgeport, Connecticut where he was engaged by a company to implement the making of his buttonhole machine. His brother James joined him there and they soon perfected an attachment to be used on the family sewing machine. In the early 1866, Henry and James built a steam carriage for their own amusement and recreation. It carried seven people, including the driver and the fireman on the back seat. It developed 15 hp and could travel 30 mph on a good level road. It frightened so many horses and even men, so they did not use it long. In 1869 House turned his attention to developing a machine that could knit various-sized goods (5 patents were issued to House from 1869 to 1872), and established a company to produce the new knitting machines. In 1873 he invented a bundling machine for kindling wood, and then a machine for dressing of fur skins. In the end of 1870s, House designed machines for paper bags and for drying of paper dishes. In 1878, House invented and patented a machine for blocking felt hats and formed a company for this business in Bridgeport. In early 1880s House designed machines fur picking and treating of pelts. 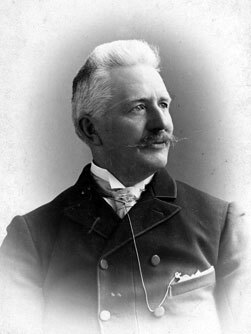 In 1883, he organized a company to make seamless paper boxes. In 1885 House invented machinery for polishing metals. Then he turned his attention to telegraphs and telephones, making numerous inventions and improvements over his uncle's Royal House devices. Following a disastrous fire in March 1889, which partly destroyed his factory, Henry House and his son commenced a project to construct a 300 horsepower flying machine. During this time, many patents were issued to House. In early 1890s House turned his attention to build fast motor launches using kerosene oil as fuel. He formed a company—Liquid Fuel Engineering Co. (LIFU) and moved to the Isle of Wight, England. The company built high-speed launches for the Duke of St. Albans, Prince of Wales, the German Emperor, King of Belgium, Sir Thomas Lipton, and many other notables. While living in England, Henry House became one of the first people in the country to be convicted for speeding. 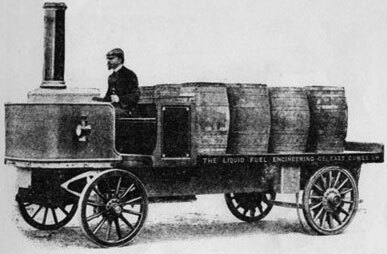 In 1899 he was fined, when he was behind the wheel of his LiFu (Liquid Fuel) steam wagonette. Police using stop watches and standing at either end of a measured road clocked him doing 18 mph, a full eight miles an hour over the accepted safe speed. He ended up being prosecuted for furious driving and was fined £3, with 11 shillings costs. However, it was not the first time his passion for speed had got him into trouble. In 1891, he was fined 10 shillings after a witness reported him notching up 26 knots in a kerosene-fuelled boat he was testing on the River Thames. These cases resulted in some free advertising for House's designs and business. In 1915, House became associated with the Shredded Wheat Company at Niagara Falls and constructed an entirely new system for baking, handling and packing biscuits. Several years later, the company erected a new factory to house the new automatic oven which Henry House had designed as part of the manufacturing process. It made an astonishing for the time 456000 biscuits every 24 hours. Henry House had three sons— Henry (Harry) Alonzo House Jr. (b. 27 Feb 1865), William Newton (b. 1871, died as infant), and William Ezekiel (1874-1878, who was accidentally shot and killed by his cousin, Alfred Bishop Beers, in October 1878, a great tragedy for the family), and two daughters—Libbie Grace (1875-1972) and Bertha Valena (1879-1959). Henry Alonzo House, Jr. joined his father in his experimental work in 1880s and in 1887 obtained his first patent (together with his father). Henry Alonzo House died in Bridgeport, Connecticut, on December 18, 1930.